Our master bedroom has been undergoing a makeover for several months now. 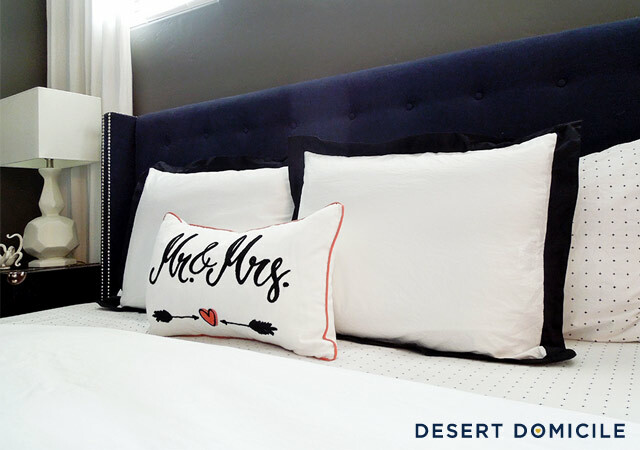 Our goal is to finish the space before our wedding and we’re one step closer thanks to our new Crane & Canopy bedding! 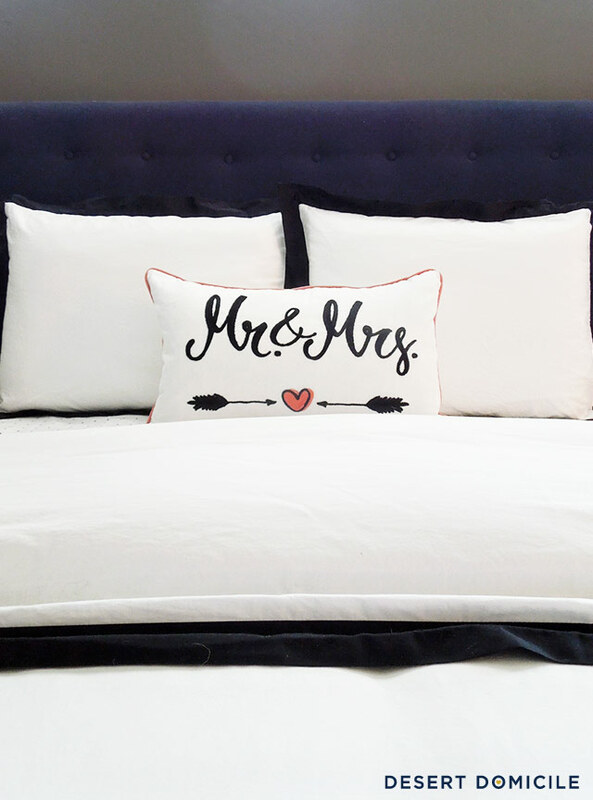 I loved our gray border Linden bedding so much that I couldn’t wait to get the black bordered set. If you’re not familiar with Crane & Canopy, you’re missing out! 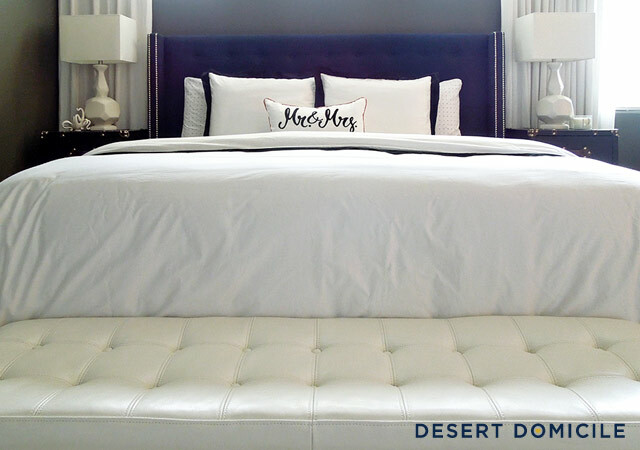 Their premium bedding features a 300+ thread count in a soft cotton sateen weave. It’s also the only bedding that I've found that offers duvet covers that are large enough to drape down both sides of the bed! The previous covers we used to buy would barely drape over one side of our bed, let alone both. I love our bed but I’m thinking about selling it so we can replace it with something lighter. I feel like the bed side of our room looks like a black hole with the dark paint, the dark bed, and the dark nightstands. I would TOTALLY buy that bed from you. Unfortunately I'm on the other side of the USA! 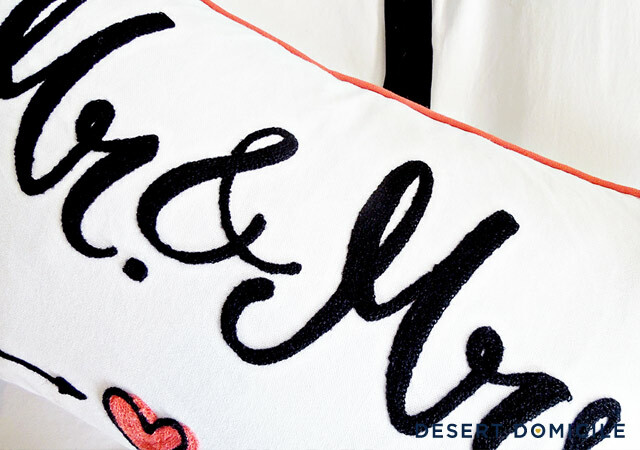 That Mr & Mrs pillow is darling! Very nice bedding! 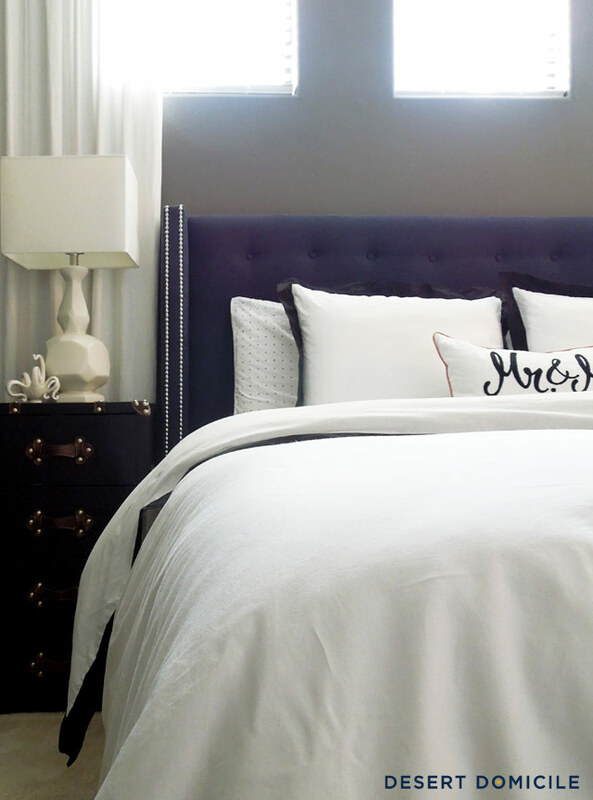 Really pretty - I love white bedding, feels spa-like. is your bed from target? it looks similar to one i'm planning on buying. i would love your feedback about it!